painting Description Tanjore Painting is one of the finest art style of India particularly famous in the Southern Part of India. Gold, Silver, Precious and Semi Precious gems as well as metals are used in this style of paintings. 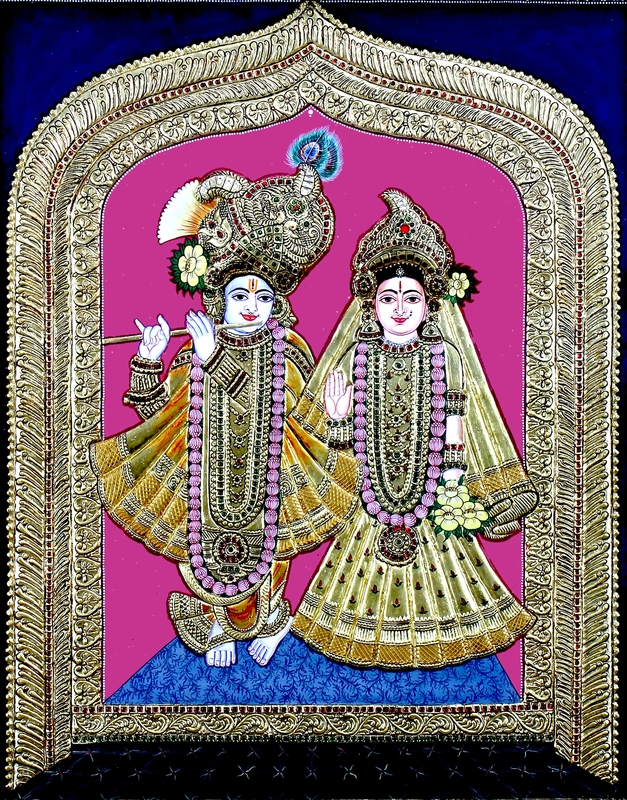 In this Painting Lord Krishna and Deity Radha are standing and Lord Krishna is playing with his flute. Diemensions ( Length X Width X Height ) 30"x24"x1"